National Professor Dr Muhammad Ibrahim , a great and successful physician, a gifted teacher, a talented organizer and a great reformer was born on 31 December 1911 and died on 6 September 1989. His death anniversary is observed as (Diabetic) Service Day (Sheba Divash) to endorse and honor his great contribution for the socio Medicare services. His contribution in the field of medicine in general and diabetes in particular has been nothing less than phenomenal. He was the founder of the Diabetic Association in Dhaka (1956) and in Karachi and Lahore, West Pakistan (1964). He first thought of diabetic care in the country. He realized that diabetes, a silent killer non communicable disease, is such a disease where not only doctors but patients should be involved in the process of diabetic care. He thought the matter as a socio-medical care. Although the real extent of the problem of diabetes was not evident in our part of the world, he could foresee the present picture at that time and organized a group of social workers, philanthropists and professionals. With the help of them he established Diabetic Association of Bangladesh (then Pakistan) on February 28, 1956. Diabetic care was started in a tin-shed building at Segun Bagicha with only 23 patients. The motto of Dr Ibrahim was 'no diabetic patients should die untreated, unfed or unemployed even if she/he is poor'. So, he committed to give primary care to the diabetic patients free of cost irrespective of socio-economic, racial or religious status. Even rich patients were not allowed to buy the primary diabetic care, but they could donate money to the association. The resources and fund was raised through motivation programs. As there were no indoor facilities initially at Segun Bagicha, patients in need of hospitalization were sent to other hospitals. In the beginning of 70's few short-stay beds were established to take care of the serious patients. He succeeded in establishing the diabetes health-care and research institute complex, named the Bangladesh Institute of Research and Rehabilitation in Diabetes, Endocrine and Metabolic Disorders (BIRDEM) at Shahbag, Dhaka, in 1980 where the out-patients centre of the Bangladesh Diabetic Association was shifted. The institute is housed in two large buildings, named the Ibrahim Memorial Diabetes Centre, after his death in 1989. To develop trained and specialized manpower, he also established an Academy in BIRDEM for postgraduate education in Diabetes, Endocrine and Metabolism (DEM). BIRDEM has been acclaimed as a model for South East Asia. In recognition of its innovative, extensive and high quality services BIRDEM was designated in 1982 as a 'WHO-Collaborating Centre for Developing Community-oriented Programs for Prevention and Control of Diabetes'. It is the first such centre in Asia. Dr M Ibrahim was very much aware about the quality of the service provided to the patients. He used to address the patients by saying that `we are grateful to you for giving us the opportunity to serve'. His humility to his patients was legendary and most genuine. Deep empathy and compassion were characteristics of his dealing with his patients especially those who were poor and in pain. He also motivated other doctors to serve the patients with empathy. He included social welfare, health education, nutritional education and rehabilitation in the diabetes healthcare delivery system. He always believed that an institution achieves its goal and EXCELLENCE not by bricks and mortars; nor by machine or metals but by their human resources and he spent all his life in developing talented human resources. For over three decades, Mohammad Ibrahim succeeded in generating awareness on diabetes in the country through free-of-cost quality services, health education, and motivation. 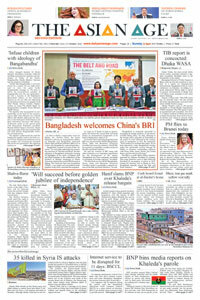 He also established the Bangladesh Institute of Research and Training for Applied Nutrition (BIRTAN) and Rehabilitation and Vocational Training Centre (RVTC) in Jurain, Dhaka, to develop low-cost nutrition, and to give vocational training to poor and unemployed diabetics and also set up a family planning section at BIRDEM for motivational work.. He took keen interest in family planning. His involvement began as a founder member of the Family Planning Association of Bangladesh, which first started its program in this country in the mid-fifties. He made his real impact as the Adviser to the President, with the rank of Minister, in-charge of the Ministry of Health and Population Control, in the mid-1970's. He was instrumental in formulating the population control policy of the Government for the first time and introduced the National Population Council. Under the luminosity of the guidance and philosophy of its founder the Diabetic Association of Bangladesh has uphold its vision as that in Bangladesh no diabetic should die untreated, unemployed or unfed even if poor and all people shall be provided with affordable health care service. The Association has set some targets and objectives as its Mission, which includes , inter alia , provide total healthcare including rehabilitation for all diabetics irrespective of gender, economic and social status through different institutions of the Association; expand these services to provide affordable BADAS healthcare for all Bangladeshi through self-sustaining centers of excellences; for human resources development create requisite specialized quality manpower (Physician, Technicians, Nurses and other related) of high ethical standards for manning these institutions and for the country; develop leadership in healthcare through dedicated and transparent management system and develop industries for diabetic and other health food and manufacturing medicines. Diabetes care centers have been established in and around Dhaka and also all over the country with local entrepreneurs.